Not that you need a reason to indulge in local beer and tasty NC seafood everyday, but we’re gonna give you one anyway. Check out the fun, weekly events we’ve got coming your way! Run Club Monday: Calling all runners, aspiring runners, stroller joggers, walkers, crawlers and everyone in between. 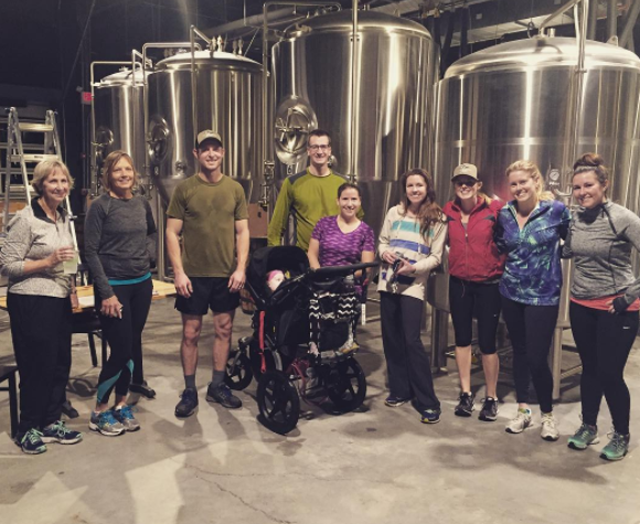 Wrightsville Beach Brewery is heading up a new Run Club that all are welcome to join. We'll meet at the brewery around 5:50pm each Monday rain or shine, and hit the road at 6pm sharp to run a 5k (ish) loop through the seagate neighborhood together (adding longer and/or shorter routes as we grow!). Run Club exclusive food specials to follow. Join us for ten runs, win some Wrightsville Beach Brewery swag. Please bring a headlamp for winter runs! Brewery Tour and Cask Tapping Tuesday: ‍Beer nerds rejoice! Learn all about the alchemy that goes on in our 20 barrel brew house with a half hour tour and complimentary tasting of some of our favorite brews. Special cask beers also make a debut bi-monthly. Tours start promptly at 6pm. Tours are limited to 25 people and are first come, first serve. Rep’ it Wednesday: Wear your Wrightsville Beach Brewery Swag, get a 10% discount on your meal. Bike Club (May through October): Saddle up and head over the brewery for a ten mile (ish) social ride that heads out at 6pm. Don’t be afraid to show up with your favorite fat-tire or sleek road bike; all shapes and sizes are welcome! We’ll celebrate afterwards with food specials for our bike club members. Win some free Wrightsville Beach Brewery Swag after your 10th ride! Please wear a helmet for these group rides. Helmet hair, don’t care! Yoga Saturday : ‍Start your Saturday off right with a 60 minute vinyasa flow for all levels, beginning at 10am. Classes are donated based and benefit Yoga Village or their community partners. Please bring your own mat, we do not have any to lend. Namaste. Please check our Facebook page for our live music schedule or subscribe to our e-newsletter!